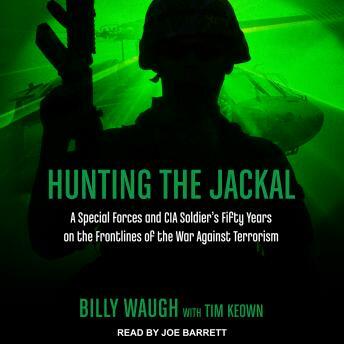 For more than half a century, Special Forces and CIA legend Billy Waugh dedicated his life to tracking down and eliminating America's most virulent enemies. Operating from the darkest shadows and most desolate corners of the world, he made his mark in many of the most important operations in the annals of U.S. Spec Ops. He spent seven and a half years behind enemy lines in Vietnam as a member of a covert group of elite commandos. He trailed Osama Bin Laden in Khartoum in the early '90s, and would have killed the terrorist kingpin if his superiors had allowed it. And at the age of seventy-two, he marched through the frozen high plains of Afghanistan as part of Operation Enduring Freedom. Hunting the Jackal is the astonishing true account of the singular career of a courageous soldier in his nation's shadow wars-including his pivotal role in the previously untold story of the capture of the most infamous and elusive assassin in history, Carlos the Jackal.